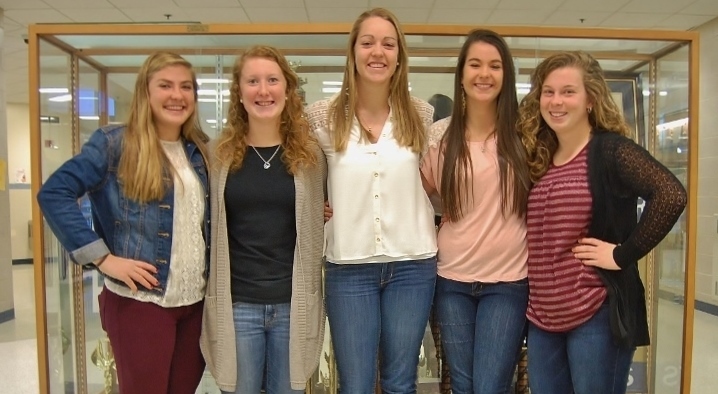 Five members of the Penn Manor High School field hockey team recently earned state and national honors following a successful 2013 season. Rachel Suter, Kayla Herr and Desiree Landis were named to the All-State Field Hockey first team, and Cassie Kline and Michele Enck were named to the All-State second team. Rachel also was name to the High School All-American second team, joining 15 other players from Pennsylvania and eight other states. The All-American team was selected by the National Field Hockey Coaches Association, and the All-State team was determined by the Pennsylvania Coaches Association. The Comets compiled a 23-4-1 record this season and were 11-1 in Section 1. The team won the Lancaster-Lebanon League championship, placed third in the District III tournament and was a PIAA state semifinalist. In addition, Rachel Suter was named L-L League Co-Player of the Year. Congrats on a great year, girls! 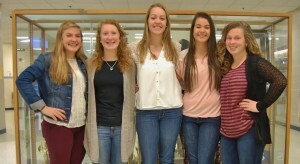 From left are Cassie Kline, Michele Enck, Kayla Herr, Desiree Landis and Rachel Suter.